The river delta of Kalamas river is a big wetland μof special and big ecological importance. 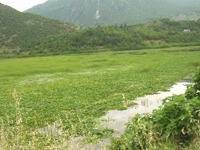 Many attempts have become for its development and protection by the programme “Preservance – Development of wetlands”. 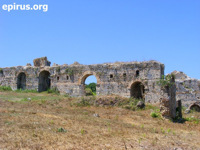 Nicolpolis is located outside the city of Preveza of today. It was built by Octavius August in 31 B.C., for his victory at the battleship of Aktio against Antonios and Kleopatra. The majority of the citizens was inevitably brought from the ancient city of Amvrakia (which was located at the region of the city of Arta of today) and from Aitolia. The city developed quickly because were given to its citizens land, freedom and other privilege. It became a beautiful city, decorated with temples, galleries, theatres, drills, public baths, mansions and other monuments. The location of the city made it a centre of communication among Rome and its colonies. Saint Paul stayed for a little period at the city, during his toyr and Epictetus established here a philosopher’s school. It was sacked by the Goths in 267 A.D. and through the years many other lootings followed. Nowadays, are saved ruins from the stadium, the two theatres, the amphitheatre, the aqueduct, the walls, as well as a big sacrificial altra in Michalitsi. The aqueduct of Nicopolis is a big technical acievement of that era because there was not the necessary equipment. At the place of Nicopolis revealed from the excavations very beautiful mosaics, some of the most important of Greece. 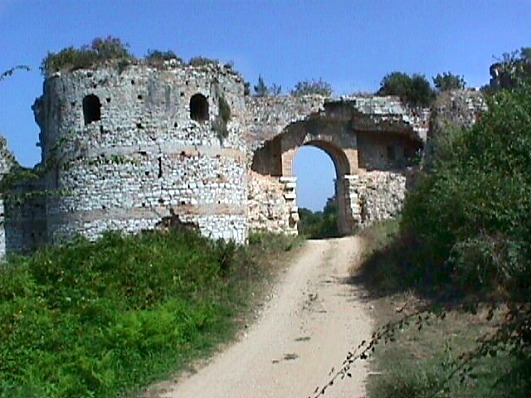 The fisrt walls of Nicopolis were built by Octavius August. On the 5th century A.D. were built new ones, more effective to attacks and they were renovated by Ioustinianos in 540 A.D. 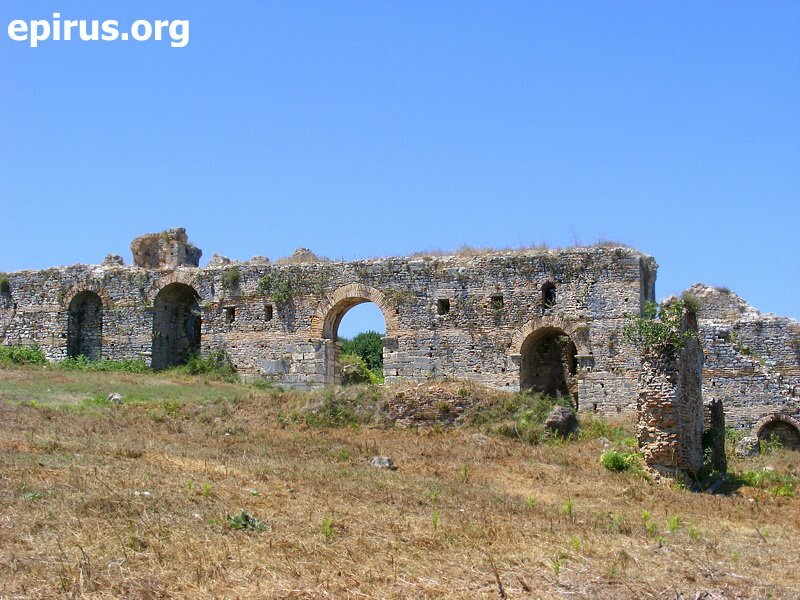 The castle of Nicopolis is the most significant of the first Byzantine period with careful masonry. The gorge of Vikos is one of the most important sights of Zagori and the prefecture of Ioannina generally. It is considered as one of the best canyons in the world and definitely one of the best of Europe. 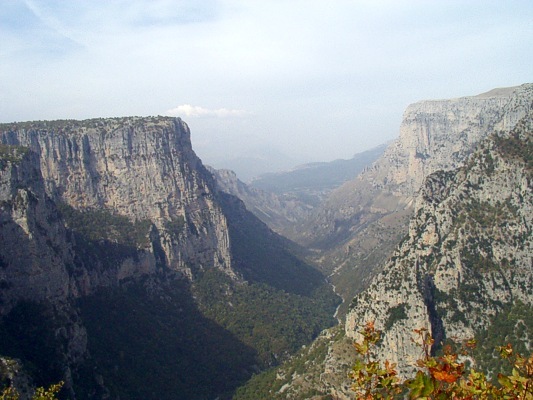 Geographically the gorge of Vikos belongs to the region of Zagori and extends among the villages of Tsepelovo and Kleidonia, from central Zagori to just before Konitsa. Close to the gorge, there also the villages: Kapesovo, Koukouli, Kipoi, Vradeto, Monodendri, Aristi, etc. 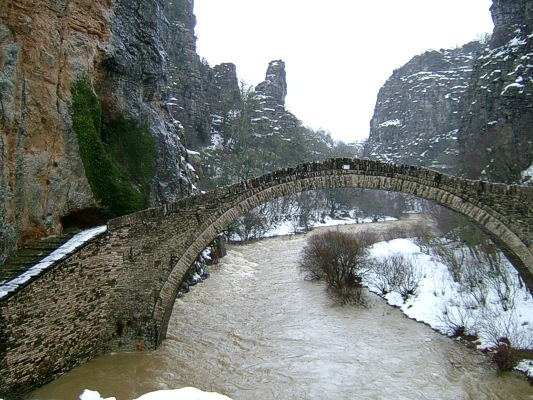 The gorge of Vikos is totally 12 kilometres long and inside it flows the river of Voidomatis. The maximum altitude of the gorge is 1100 metres, while its average width is about 200 metres. In the narrowest part of the gorge the width is only just 2 metres. The region has very important flora and fauna. The flora of the region includes rare herbs, many of them for medical purposes. In the region also grow 5 unique kinds of plants, which you can find nowhere else in the world. The fauna includes many and rare species (for example species of blackbirds, thrushes, species of eagles, etc.). Moreover, the region is a shelter for many other species of animals such as wild boars, wild goats, roe deer, wild cats, bears, etc. For this reason, since 1973 the region has been characterised as a National Park and is protected. The region of the gorge is the core of the National Park of Aoos. You can enjoy the view of the gorge from the villages of Monodendri (at the location of Oksia), near Vradeto (at the location of Beloi) and from the village of Vikos. The view of the gorge from this points is literally fantastic and makes every visitor admire the majesty of the wild beauty of nature of Epirus. The visitor can also go down the gorge, from many villages of Zagori and enjoy the route at the marked paths which cross the region. The crossing of the whole canyon lasts about 6 hours and offers to the visitor the chance to see better the flora and the fauna of the region. 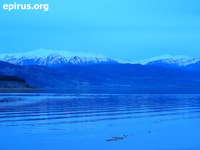 Amvrakikos bay is an important wetland, of worldwide intesrest. It is protected by the international treaty Ramsar and with the help of various programmes, such as Life, have become many efforts for its development. 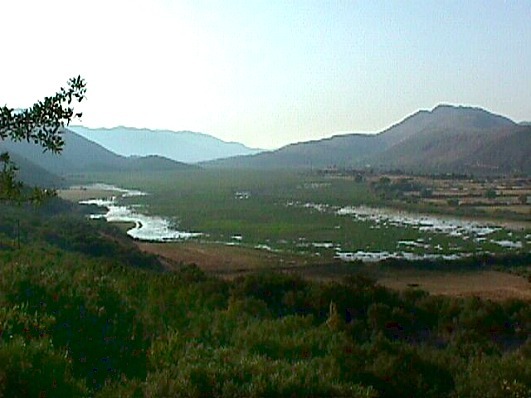 The wetland extends between estuary of Louros and Arachthos. This place is covered by reeds, laggons, swaps and islets. It is about a huge shelter for aquatic and predatory birds. It is a migrative station for 250 species of birds of a total population about 150.000, but also for other animals. From the species that find a shelter here are: dalmatian pelecans, fudge ducks, bottle-nosed dolphins, sea turtles, eels, foxes, ferrets, etc. Amvrakikos bay was a place of great importance because was the connecticg link of the ancient towns of Amvrakia and Nikopolis to the coasts of the rest Greece, Italy, Sicily and North Africa. 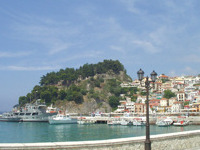 Nowadays Amvrakikos bay is very important to the cities of Arta and Preveza. You can visit the wetland of Amvrakikos, during the suumer period, by boat from Preveza, by canoeing at the river of Vovos and by bicycle. 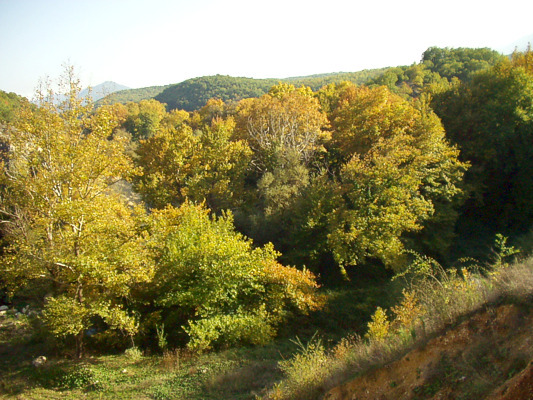 You can also visit the wetland by car: Arta – Koronisia 25 km. Information centre of Kopraina, where there is also a museum of natural history (with fishing boats, tools, boats, fishing nets, etc. ), a library, an exhibition hall, as well as a guesthouse (Tel. +30 26810.69683). Research centre of Salaora, where it is directly reported the life of birds in Tsoukalio (Tel. +30 26810.74772). Observatory of wetland at the Lighthouse of Kopraina with telescopes and binoculars (here there is also the museum of Lighthouses). From the caves of Epirus the most important is the one which is inside the hill of Perama. It is a distance of 4 km. from Ioannina, on the road to Metsovo. 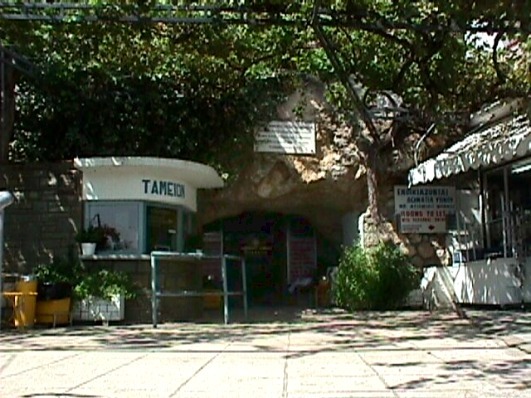 The cave was found in the beggining of the former century and in 1940 the cave was a shelter against the bombardisms. The professor K. Kasvikis in 1952 did the first exploration inside the cave and the couple of the cavers Ioannis and Anna Petrochilou εexplored the place scientifically. 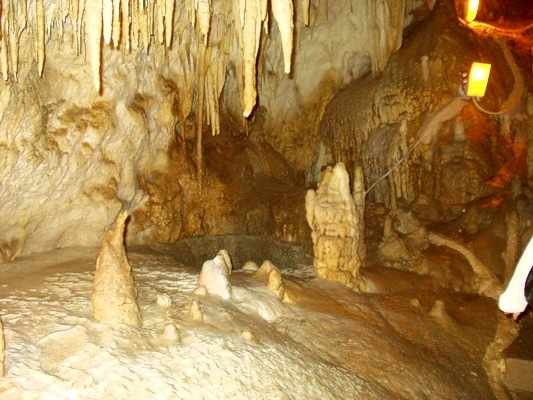 The halls in a route of 850 metres are full of stalactites and stalagmites of strange shapes, colours, lightness of crystals, etc. 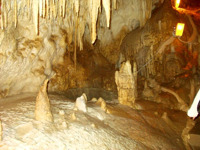 A fantactic decoration that make the cave one of the best of the country. 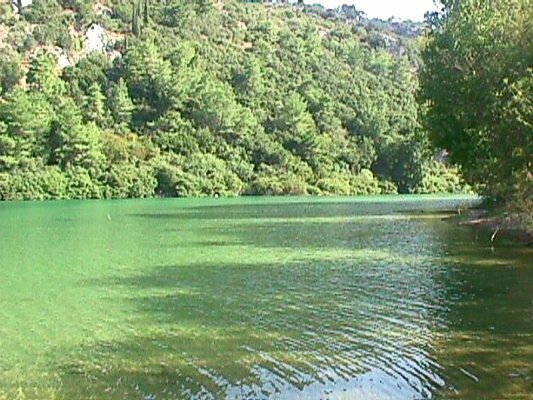 The river of myths, the famous Acheron river, is really a place of attraction for the tourists and the people who love kayak and canoe, as well as for those who love the nature. It springs from the mountains of Souli and flows into the bay Ammoudia just few kilometres from its springs: it starts like a mountainous torrent, crosses an enchanting gorge, continues its route to the plain of Paramythia and flows into the Ionian Sea. The rich flora and fauna of the gorge and the river, but also the nearby archaelogical sites make the region an important sight for tourists. It is under the protection of Natura 2000. 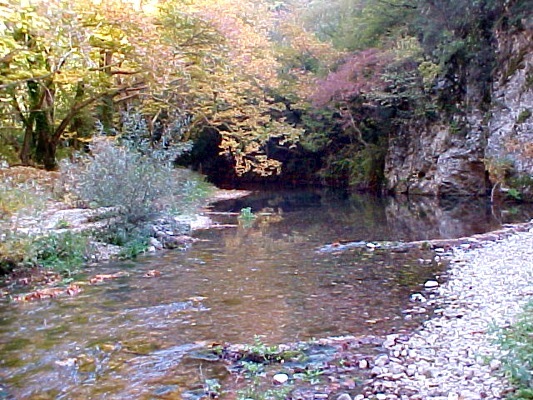 Arachthos river is one of the most important rivers of Epirus. Along with its tributaries gathers the water of the largest part of the mountains between Metsovo and Tzoumerka. 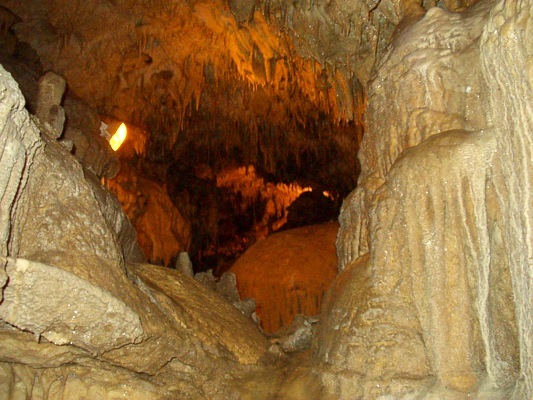 At the location of Klifki ends up the water from an underground river that flows there. 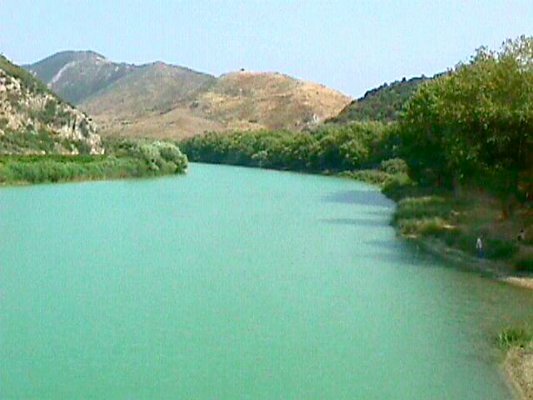 In the ancient times it had the name Inachos and was floating until the city of Amvrakia. 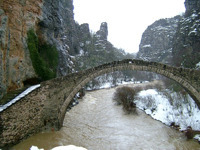 The river flows with its impetuous water into a big gorge, up to the historical arch bridge of Plaka. In this impetuous river many accidents took place and it is mentioned in many legends and traditional poems. 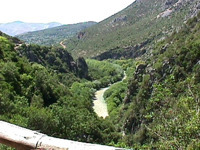 Arachthos river crosses the plain of Arta and empties its water by a big river delta into a significant wetland in Amvrakikos bay. It powers with its plenty water the hydroelectric dams of Pournari and Agios Nicolaos. At the hydroelectric dam of Pournari there is an artificial lake, which is a complex of natural beauty and harmony with many traditional settlements. 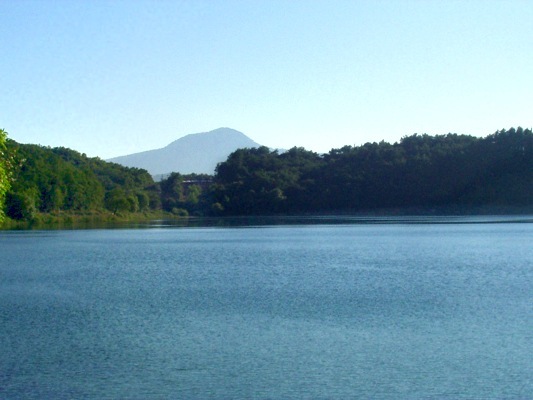 This lake is considered as a siginficant wetland. 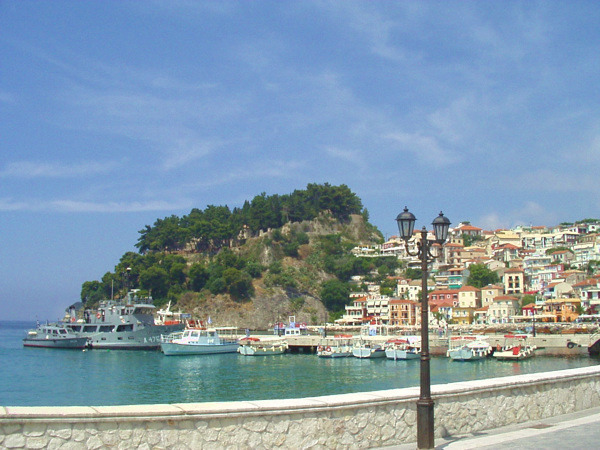 Parga is definitely a place of attraction for thousands of tourists every summer, not only for its natural beauty, but also for its beautiful beaches. You can enjoy swimming at their calm and warm water, but also do your favourite sea sports or water games. 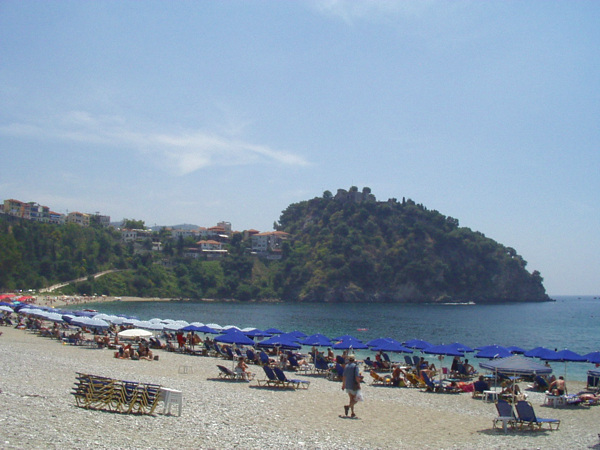 Most of the πbeaches offer all the comforts and have all the conveniences for jet – skiing, sea ski, windsurfing, kitesurfing, divings (very inetresting it is the diving around the castle of Parga and the islet of Agios Nicolaos) and many other water games. 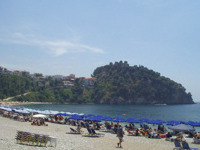 In the region of Parga, there are also many beaches that are approachable from the sea, by boat. 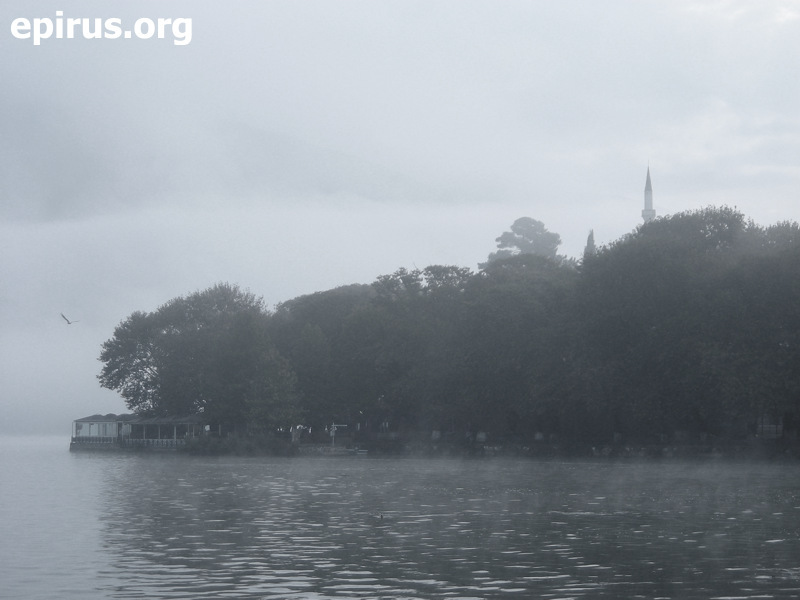 The basin of Ioannina is surrounded by the exceptional lake of Pamvotida that extends at a surface of 23 square kilometres, 470 m. over the sea surface. The lake was formed in 10.000 B.C. 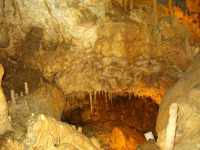 Its depth is from 3 to 13 metres and has a perimetre of 33 kilometres. The largest width of it is 5 kilometres and its length is 7.5 kilometres. At its west bank there is the city of Ioannina. It is the most important lake of Epirus. On its banks there is a significant wetland. 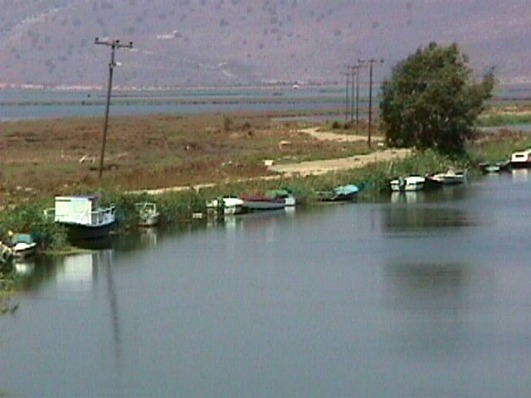 The village of Ligiades is mirrored on te water of lake, that are gathered from the torrents around and the springs around it (Drabatova etc.). The trimmings of its water end up in Kalamas river by the channel of Lapsista. In 1434 Dourachan pasas of Roumeli passed over the frozen lake with its army, considering it as a land. Then he believed that this fact was a miracle and built the christian monastery of Dourachani. τIn the water of Pamvotida Ali Passia drawned Mistress Frosyni and other 16 girls. In the years of 1888, 1928, 1958 and 1992 the lake was extremely frozen and the habitants of the island crossed it by foot or bike and walked from and to the city over the frozen lake. The island of Pamvotida is the only populated island of lake in Greece but also the only one populated island without a name, its name is Island. The Historical Museum of Ali Passia and the important post – byzantine monasteries that there are on the island, such as the Monastery of St. Nicolas of Filanthropinoi etc. attract thousands of visitors every year. Enjoy the beauty of the lake by visiting its fantastic island by little boats or going around the lake by your car. Zaravina lake (or the lake of Delvinaki as it is also known) is located at a distance of just a few kilometres from the village of Kalpaki in Pogoni, on the road to Kakavia and Delvinaki. The lake has a rich ecosystem and is the shelter for many kinds of plants and animals, among them the otter, an aquatic mammal in extinction. 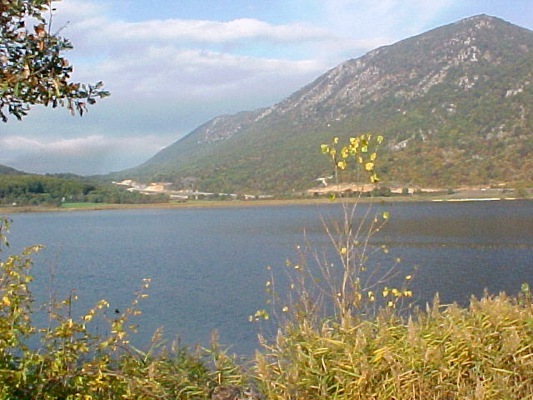 The lake is a privately owned one and is protected by “Natura 2000”, as it is an important wetland for the region. 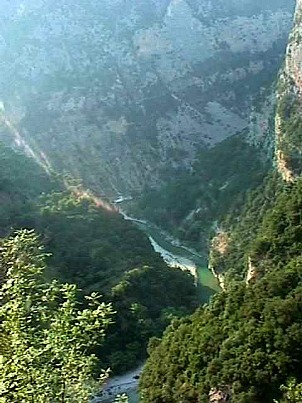 The river of Gormos flows in the region of eastern Pogoni. 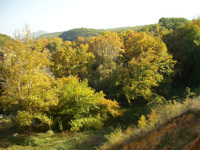 It has been characterised as a “region of natural beauty” and protected by the net of “Natura 2000”. In the region there are beautiful forests where you can easily cross. The valley of Gormos has also an archaeological interest, because in the region have been found many archaeological locations. The whole valley has been characterised by the Ministry of Culture as an archaeological place and many attempts have done for the development of the region. At the location of Anemomylos near the village of Meropi, at the southwest part of the valley, have been found an important settlement and tombs which date back from the 11th. century B.C. to the 4th century B.C.. At the same place there were also found important findings that are exposed at the Archaeological museum of Ioannina. In Palaiopyrgos, at the location of Gklava, in Kato Meropi, in Vasiliko and in Oraiokastro have also been found archaeological sites. The swamp of Kalodiki is a wetland of 3.500 hectares stretch and is locatd at the north of Parga, close to Margariti. 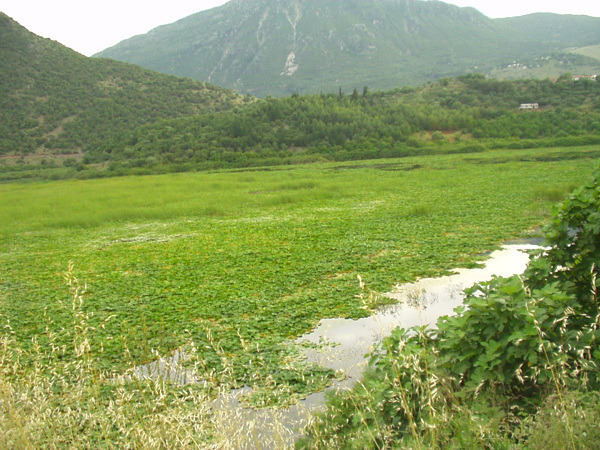 Many attempts have done the habitants of the community of Margariti for the development – preservation and the exploitation of the region through the programme “Preservation – Development of wetlands”. It is protected by “RAMSAR – NATURA 2000”. At the west side of Filippiada and at a distance of 4,5 km. from it there is the beautiful lake of Zeros.You can reach by car until its banks, as there is a rural road accross its southern side. 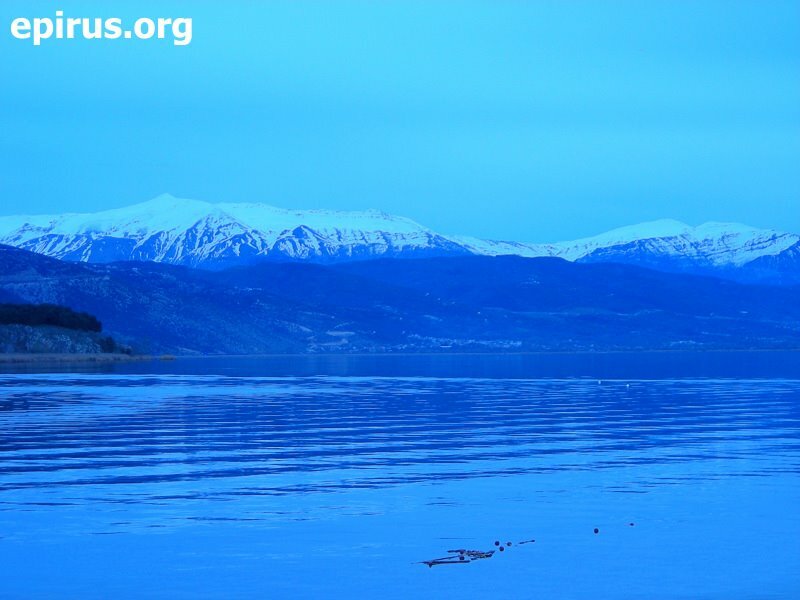 ΤThe name of the lake comes from the Slav word Ozeros, which in greek means lake. The region of the lake is a unique wetland, almost untouched by the human. 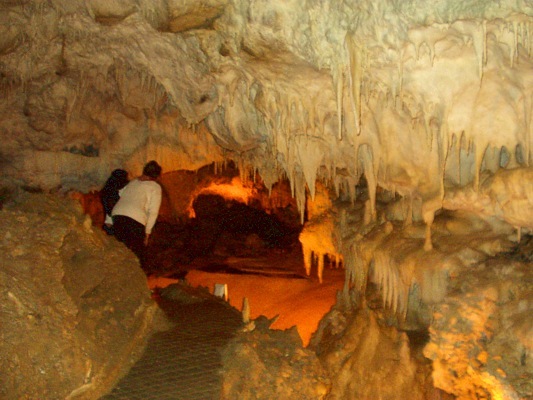 It has a strech of about 420 hectares and is surrounded by rich nature with many kinds of trees and other plants. The beauty and the peace of the lake, which is offered for relaxing walks and cycling at its banks, enchant every visitor. It is about a remarkable trip. 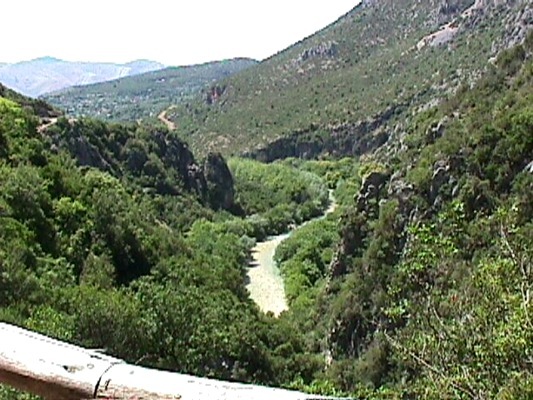 The gorge of Kouvaras is located close to the village of Dolo in Pogoni. It was formed by Kouvaras river, which is a tributary of Drinos. There is a marked path leading to the gorge, from where the visitor can cross it, admiring a beautiful route. The gorge is famous for its exceptional and rich flora and offers to every visitor unique pictures of the landscape of Pogoni.